Khushwant Singh, the famous Indian writer who was the topic of my last blog, was eleven months short of becoming a centenarian, but another Sikh man I heard about over the long weekend in Kasauli, made it. 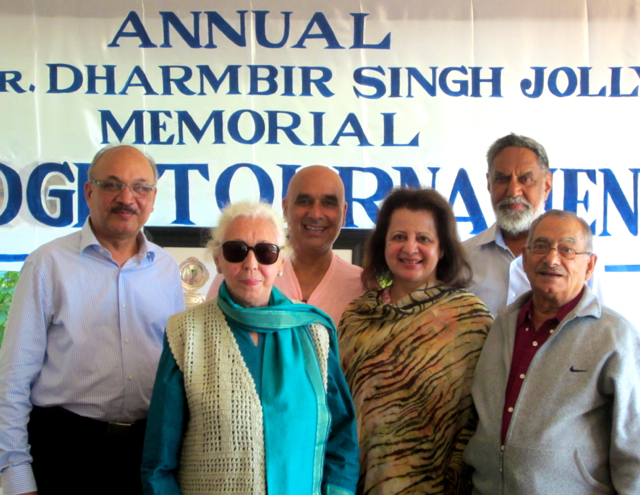 Dr. Dharambir Singh Jolly, who was a keen Bridge player, lived 100 years, one month and twenty days; he died on 5th April last year. 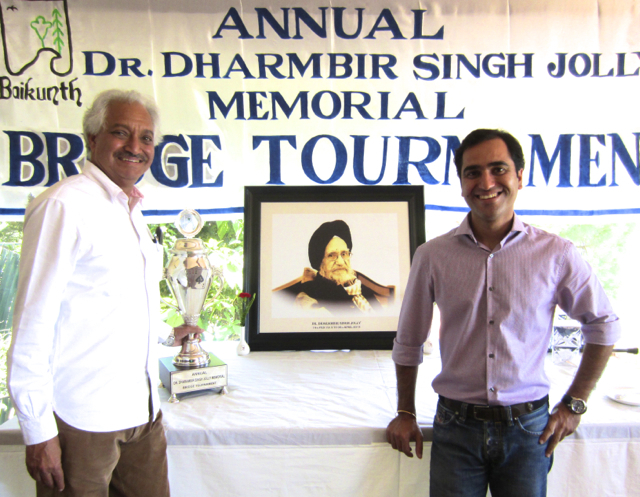 A few months later his son, Rana, held the inaugural Annual Dr. Dharambir Singh Jolly Memorial Bridge Tournament at his resort in Kasauli. Like a chip off the old block, Rana is no slouch when it comes to playing Bridge. His team won the inaugural trophy and successfully defended the title again this year. The Baikunth Resort, six kilometres from the town, is a lovely place to stay; the pretty hillside setting and Rana’s friendly staff make it so. Unlike his father who founded and ran a very successful public transport company, Rana started his working life importing alcohol before switching to the resort industry, which he thought would be a healthier business for his children to inherit. 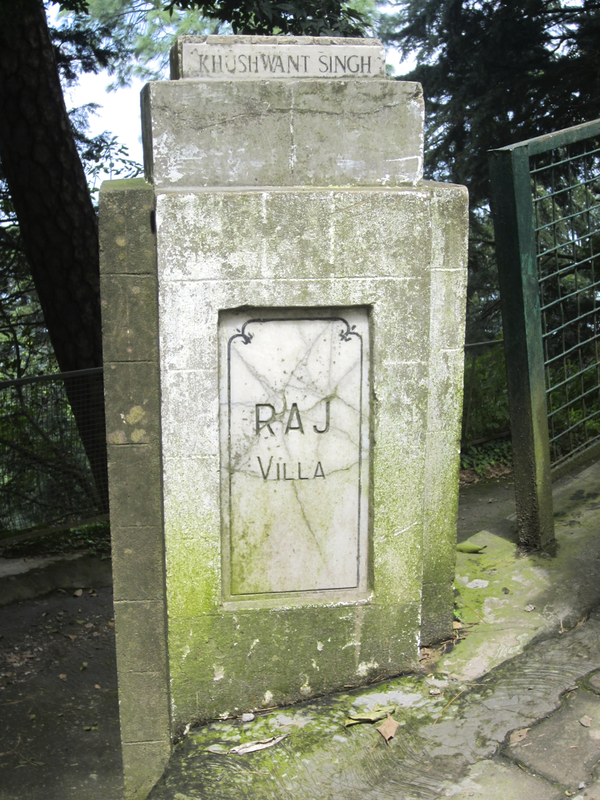 Rana’s resort in Kasauli opened fourteen years ago. Since then, the family has added two more: one each in Kinnaur and Manali. 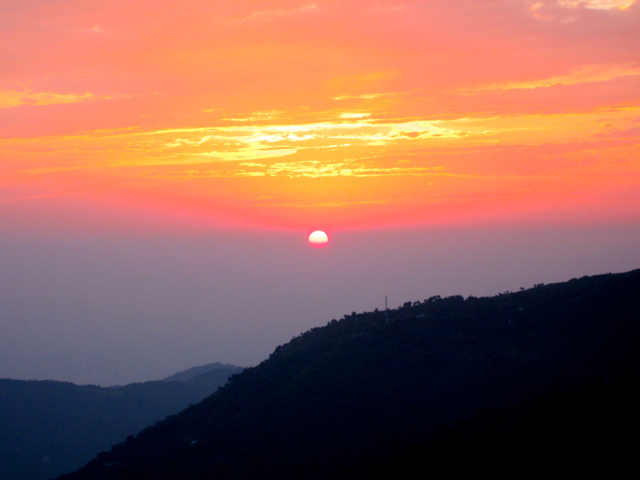 All three properties are in the north Indian state of Himachal Pradesh in the western Himalayas. By all accounts, Rana’s son and Baikunth CEO, Karan, is doing a fine job managing them too. 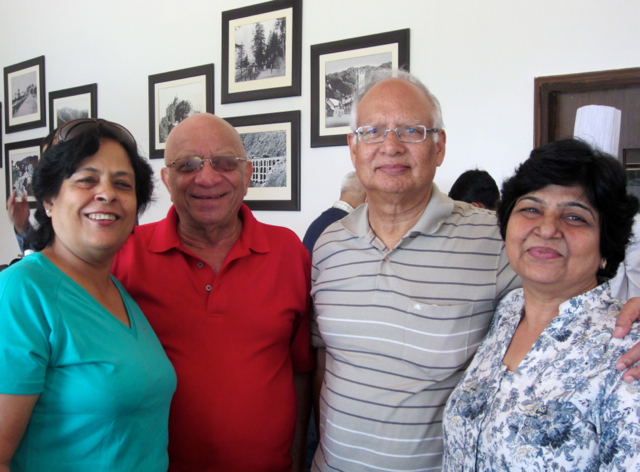 In addition to having the pleasure of staying in the hills around Kasauli, Kuldip and I also made some new Bridge playing friends such as Davinder and Asha Sharma and Micky and Suman Khanna, who we hope to bump into again at Rana’s tournament next year, if not beforehand. 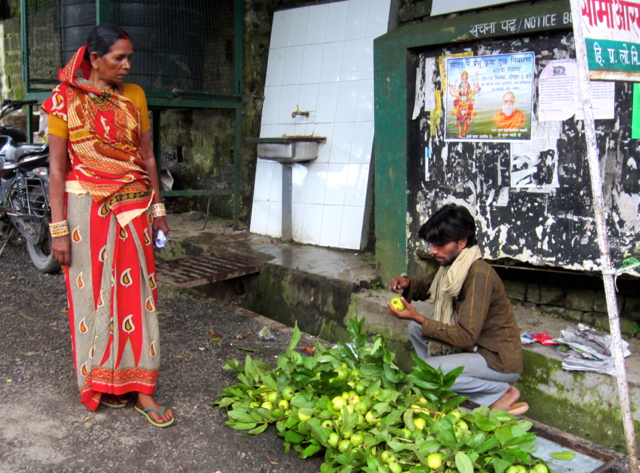 Asha is in the running for India’s all women’s bridge team – we wish her well for selection. Note: If you’re wondering how Kuldip’s team performed in Rana’s tournament, my report is unchanged; the less said about it, the better! Rana Singh Jolly (with the trophy) and his son, Karan, standing before a photo of their father and grandfather, respectively. Our new friends from Delhi (l to r) Suman, Micky, Davinder and Asha. Kuldip’s Bridge team at Kasauli. I mentioned in my last post that I went to Kasauli, in northern India, for a Bridge tournament in which my husband, Kuldip, was playing. Khushwant Singh known as “one of the finest Indian writers in English in contemporary times,” was a frequent visitor to Kasauli and had a house there called Raj Villa. We walked past the entrance to it on our way to Sunset Point one day but, unfortunately, the driveway down to the house was so steep I could only see the roof that covered genius from the roadside. During a conversation I had that evening with a Bridge player’s wife, I learnt that the house is usually open to anyone who wishes to see it. Rami said that all one has to do is knock on the front door and either Mr Singh’s son or the caretaker, who both live there, will let you in to look around. If only I’d known. Sadly, Khushwant Singh passed away in March this year aged ninety-nine. However, an annual literary festival inaugurated in his name in 2012, will ensure his memory lives on in the hills of Kasauli. I’ll be back in India early September next year, when The Khushwant Singh Literary Festival is a must-do. 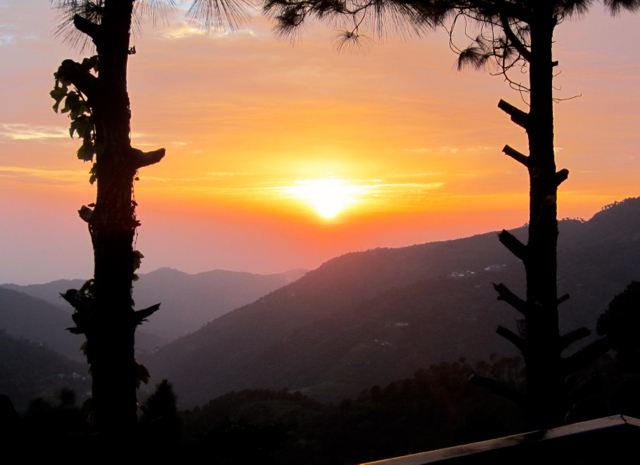 My husband, Kuldip, is playing in a three-day Bridge tournament in Kasauli, a hill station in Northern India. Neither of us had been to Kasauli before so we decided to come up here a couple of days before play began. Although I have travelled far and wide, there’s a lesson I’m yet to learn; that is: Don’t believe the blurb. 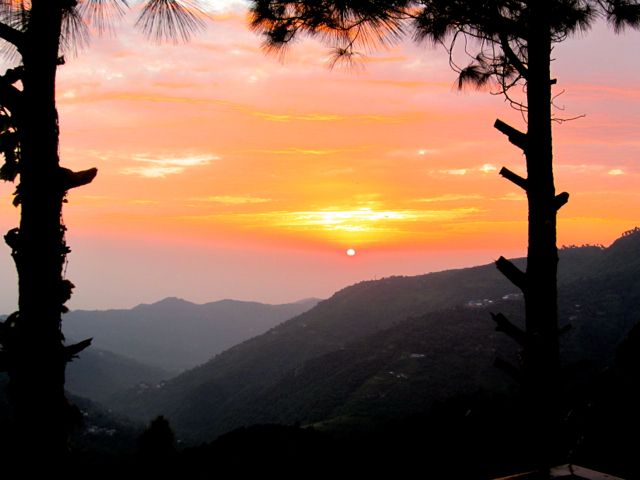 It is especially true about Kasauli, which I think overpriced and a far cry from what people would have you believe. 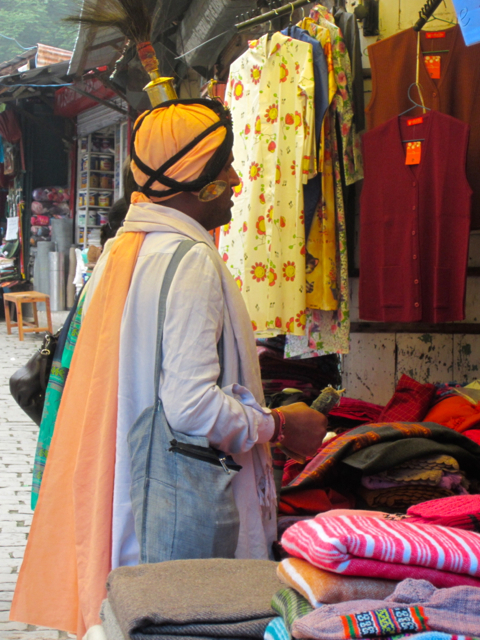 I was looking forward to finding some traditional, locally made trinkets and textiles and in Kasauli’s Tibetan and Heritage bazaars. Although the marketplaces themselves were easy to find, if such treasures exist there, they were well hidden! 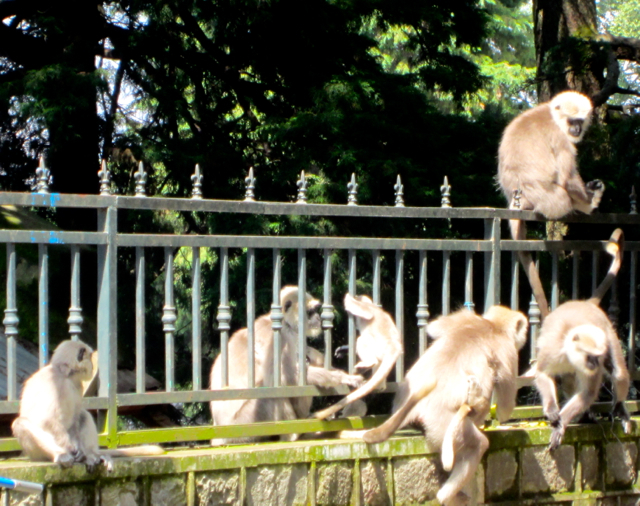 While I didn’t see anything interesting to buy, I did, however, see some very intriguing sights in and around Kasauli’s bazaars including bold monkeys and packs of stray dogs that, unfortunately, besiege the town. 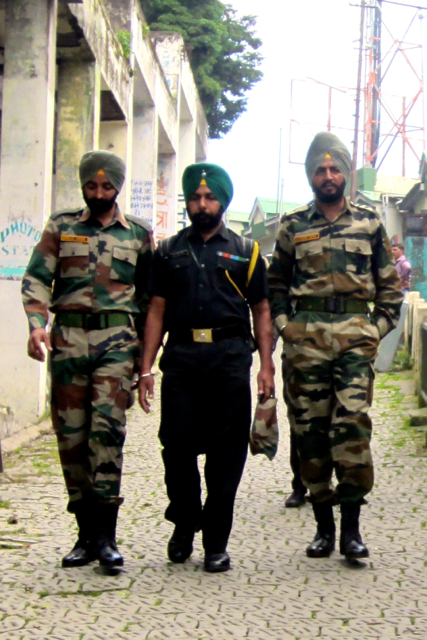 Kasauli sits on defence land, so it’s THE place to go for girls who love a man in uniform. While the surrounding hills are pretty 24/7, they are especially so from our balcony at sunset. FOOTNOTE: There’s not much to report on the performance of Kuldip’s team in the Bridge tournament – the less said, the better!